Poets aim either to help or to amuse the reader, or to say what is pleasant and at the same time what is suitable. Dannaks, promoted to Oberkommissar leaves Drugs to join Soko REX, a small unit that deals with racism and extremism. His first case is that of the schoolboy. But Dannaks has joined because the unit is often seconded to assist Homicide, most recently because a serial killer is on the loose in Hamburg hanging right-wingers. However,	helping Homicide takes a backseat as Dannaks comes terms with his new duties and gets embroiled in a private	police-corruption investigation that endangers his life. Craig, a British reporter, writing about racism in Germany, uses the schoolboy attack to exacerbate tensions between Left and Right, culminating in an open clash between the two in the centre of the city. Cenk, a Turkish youth, joins a gang with the noble idea of protecting the community against such attacks. But the gang takes on a life of its own and is promptly regarded as a terrorist cell. Karsten, a sado-masochist and celebrated neo-Nazi, finds himself at a crossroads. As leader of the 211ers he is like a weary gunslinger forced to continually satisfy his minions' banal need for action. He sees the growing infamy of the Turkish gang as a challenge to his own standing. It was good to meet Dannaks again, that dedicated, if not quite intrepid detective from Hamburg. This time he has to cope with internal police corruption as well as the increasingly volatile situation between the Neo-Nazi youth and the immigrant Turkish culture; none of which is helped by the enthusiasm of a young British journalist looking to make his name by way of a good scoop. Although a large number of characters that some readers might find confusing, I found it a simple matter to differentiate the various factions by way of their name spelling and attitudes. Dannaks is a wonderful downbeat detective. "If you're living a lie, then you'll lie to live." 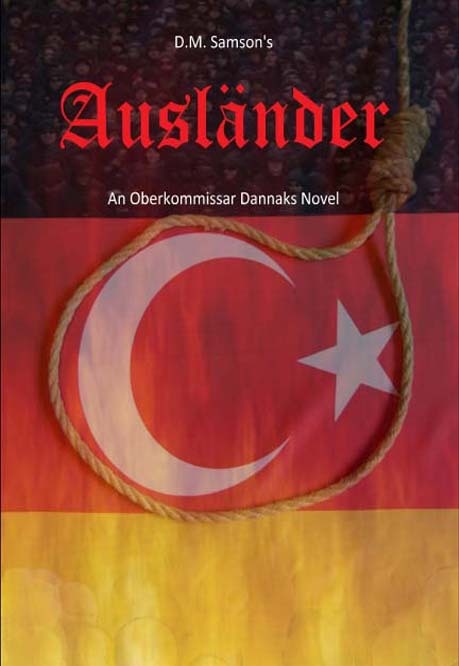 What starts out as a routine task of collecting the body of a German national murdered at a Turkish resort becomes an emotional odyssey for Oberkommissar Dannaks (of REX: Racism and Extremism). Intent on contributing to the investigation he is confronted by a wall of silence from the hotel staff. The Turkish police aren't giving anything away. And if that wasn't enough even his companion Reupke (from Homicide) is happy to treat the trip as a holiday. Finally, the resort begins to seduce Dannaks, culminating with the distraction of a fledgling romance. Then when a girl, missing since the murder, gives herself up and confesses to the killing, Dannaks appears to be the only one to believe she is lying. Back in Hamburg he unexpectedly finds himself suspended from duty. Using the time to investigate the girl's past he uncovers not only her terrible secret, but also a mistake by Reupke's Homicide colleagues. His emotional odyssey turns into a quest for truth and justice that takes him to Berlin and Central Anatolia. "A German drinking partner for Rebus"
The novel cleverly uses the genre of the police investigative procedure to walk the reader along a trail that connects the culturally barren Turkish resort hotels designed to cater for German holidaymakers who seek to bask in the sun but little else from the country in which they are nominally present to the deep and evolving culture created by the extensive Turkish community of "guest" workers in Germany. 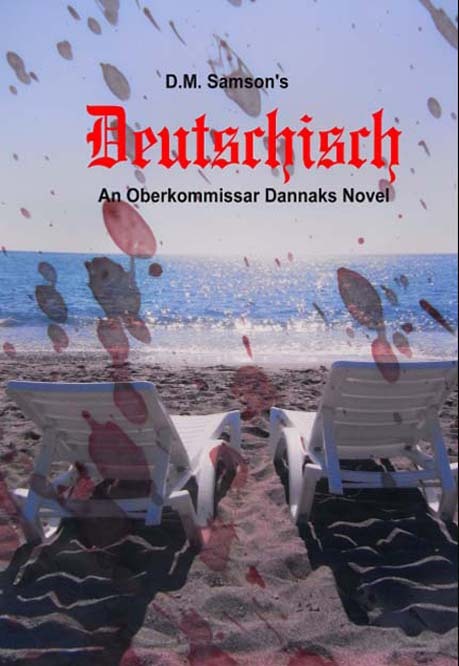 In the protagonist Oberkommissar Dannaks the author has created a complex sympathetic and at times rather forlorn character. We are introduced to Dannaks on his arrival in the Turkish hotel together with another German police inspector and temporary partner, Reupke. The two are from different departments and have been assigned together, in a move of political expediency, to formally collect the body of a murdered German national, with the murder investigation being the responsibility of the Turkish authorities. While the two detectives have also been told to gather information about the murder where they can, Reupke never really cares about finding out who did the murder, even when it is likely an innocent person could be convicted. Reupke is portrayed as the perfect career policeman adept at going through the motions and making the right impression, whether that is with his superiors or the woman he targets for a holiday romance. The return of the two officers with the body to Hamburg marks the end of the affair to Reupke but of course it is not over for Dannaks. The trail that Dannaks follows not only leads him to the resolution of a crime but also into a fascinating world dominated by the turbulence created by the confluence of many cultural streams. Dannaks is like Rebus, he was born to live amongst the social misfits and not just to police them. As a murder mystery this novel is well plotted and the jigsaw of events leading to the killing fit together not only neatly but also naturally. There is no sense of contrivance. Ideally I would have preferred to know a bit more of the product description before buying, so it is just as well that the author gave us a detailed blurb in the review section. This seems especially true when considering the title ~ a German or Dutch word that doesn't mean much to me, except perhaps German or Dutch. Luckily, I also liked the cover that suggested a relaxing holiday scene viewed through a window smeared with blood. Okay, so it's a murder mystery (German or Dutch). That must make it different from the usual 'cops and villains' fare that we get in abundance from America and UK. So I bought it.